The Chicago Wedding Cake is a masterpiece of wedding cake design. Just like sweet home Chicago, this classically decorated cake will really stand out at your wedding. 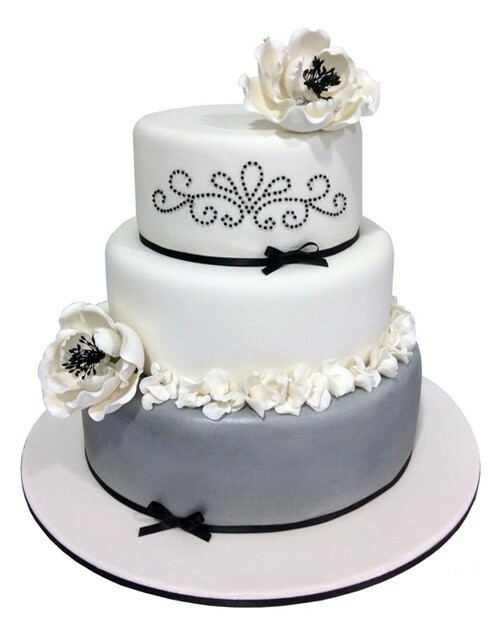 The Chicago Wedding Cake is a masterpiece of wedding cake design. 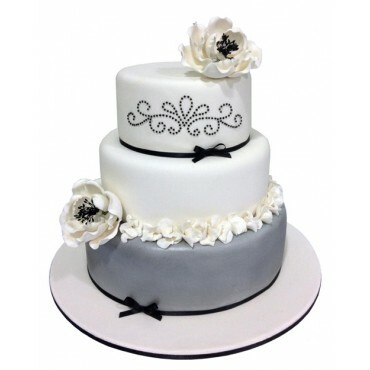 Just like sweet home Chicago, this classically decorated cake will really stand out at your wedding. Three tiers of tasty cake are decorated with Dog Roses and beautiful floral decor This is a cake that is designed to look great in your wedding photos!